Once it was back here All of us employees drooled all over it it didn't take us but a few hours until we started tearing into it and designing parts . I'm sure you saw some of our videos on facebook going over and under all the nitty gritty details. 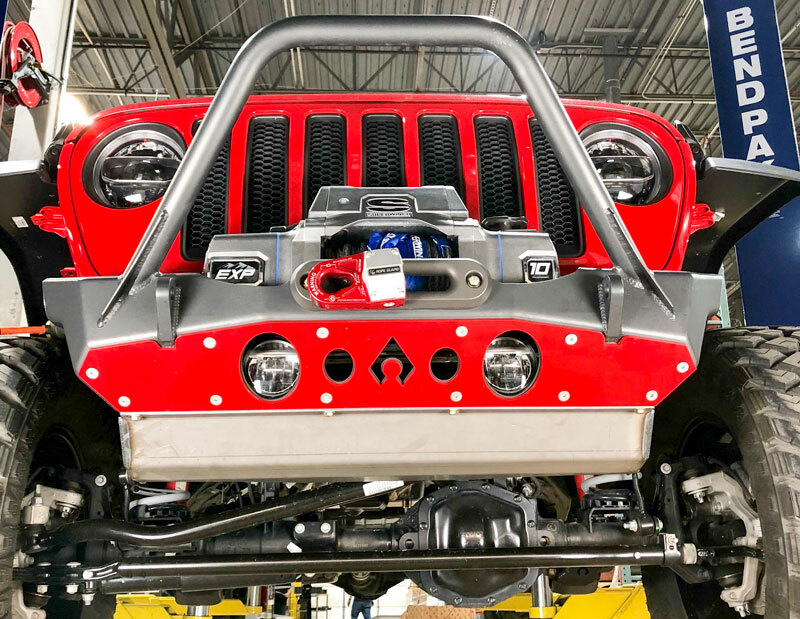 This Jeep's build will be fairly mild like something you would see every day, Sure big builds are great for the shock and awe but we wanted something that your everyday guy would have. 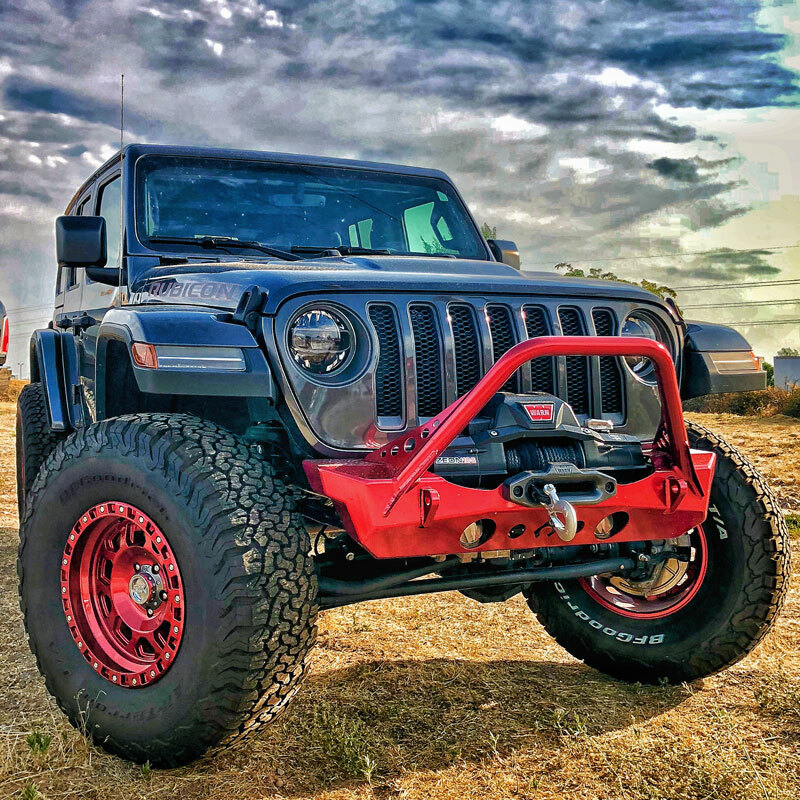 So our plan for this Jeep is to have a 3.5" Rock Krawler lift, 37x13.50x20 Maxxis Razrs wrapped around some Raceline Wheels. 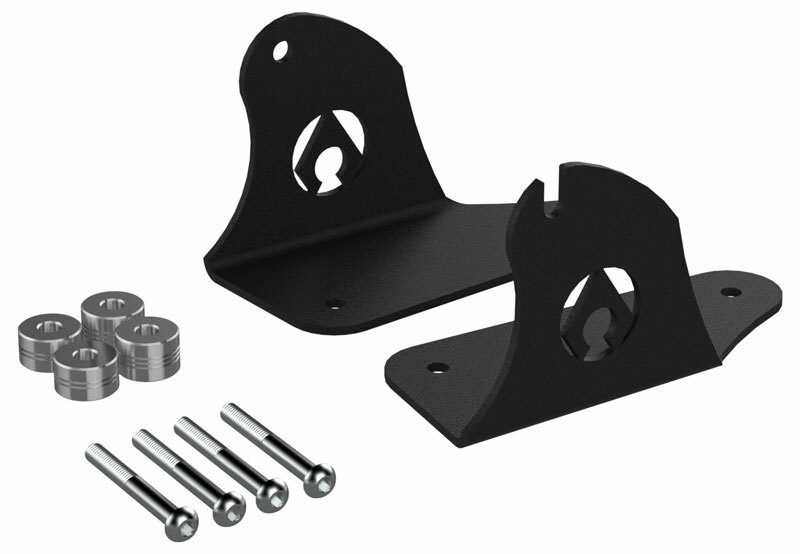 Along with a full Plethora of Artec Parts which you will see in this thread as we get the parts ready and installed . 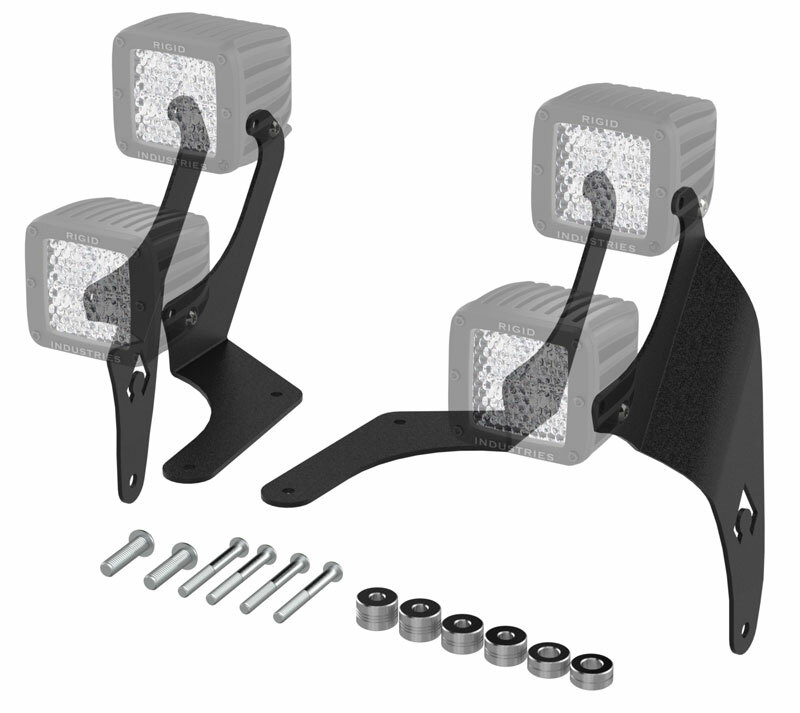 All of the Artec parts will be production parts that anyone can purchase . 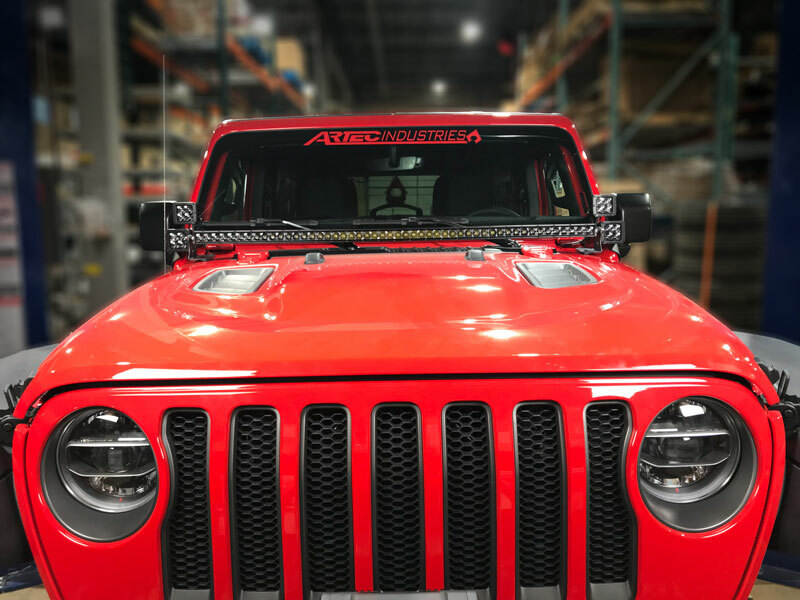 We started off the build With our new JL Nighthawk mid tube stinger bumper Send it off to have it powder coated in a nice graphite to match the grille inserts and emblems and had the optional rock guard powdercoated in the factory red. 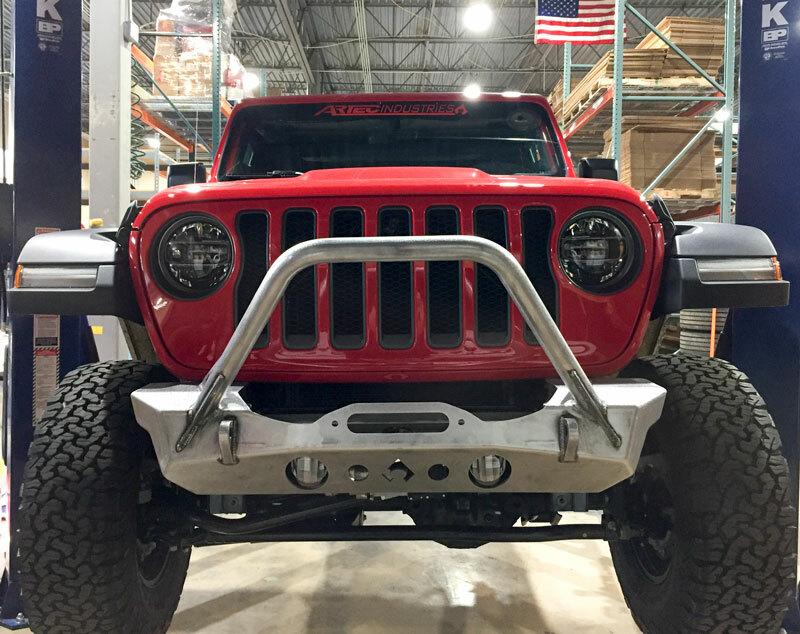 Since it's a which bumper the obvious thing to do was dress it with a Superwinch EXP 10K lb winch with Factor 55 closed winching system . 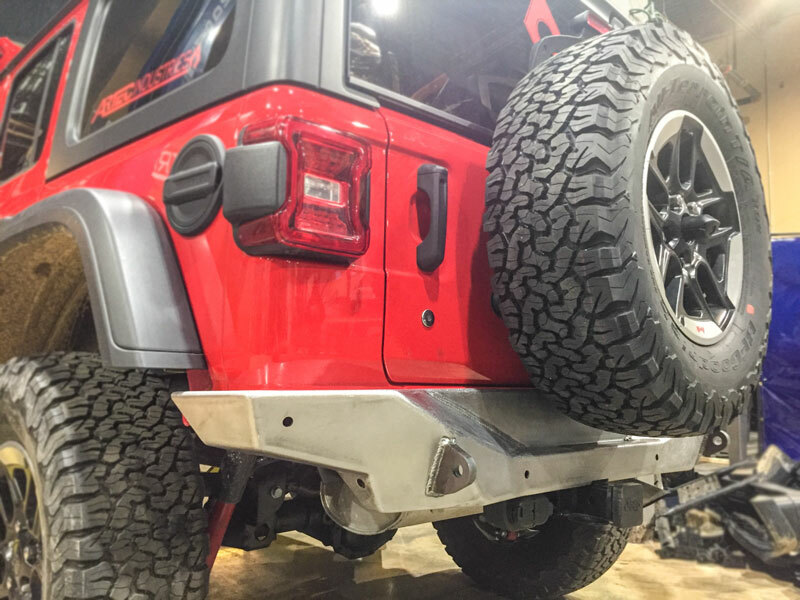 After the front was done it was time to move on to the rear of the JL So we started designing our JL Rear bumper. 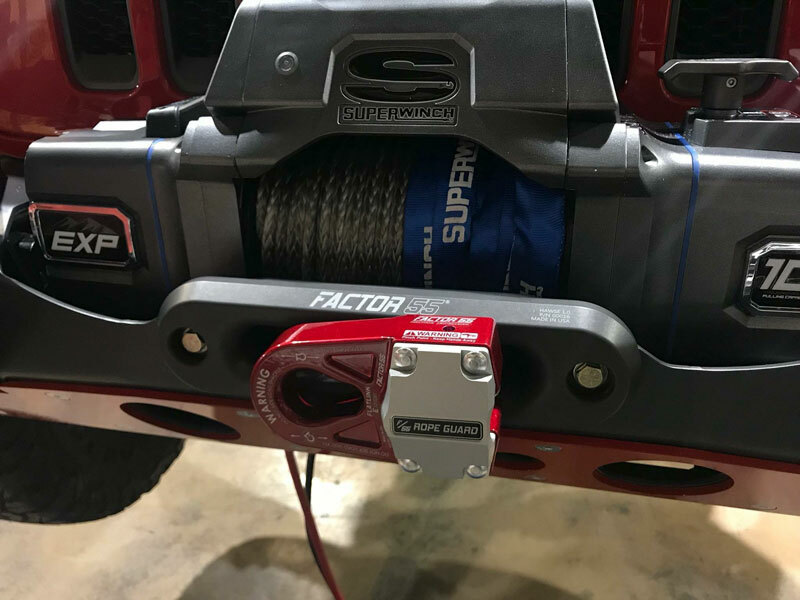 We used feedback from customers since the JK line didnt work with a hitch so this one will work with the factory hitch on the JL and allows for used with the factory backup sensors . The bumper is still raw I'll update the pics when its back from the coater . 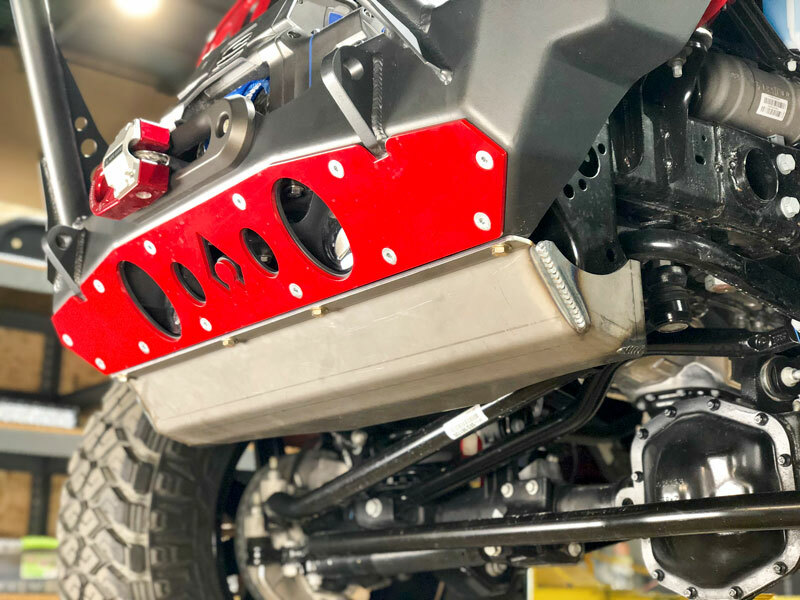 Time to move under the Jeep , Since the cad is pretty out there and the stock bracket was kind of weak and flimsy 18 gauge steel We had to add some beef. 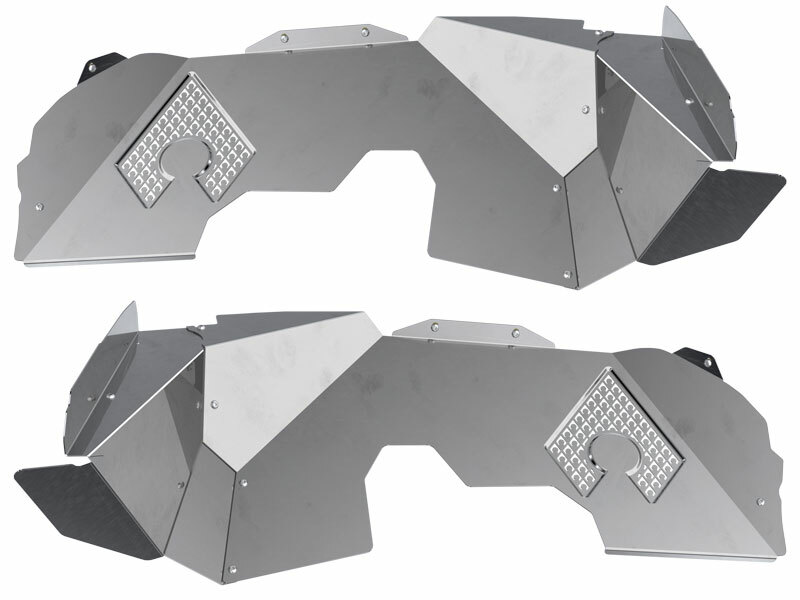 Out with the old , In with the Artec Shield Cad Skid . Made from 1/4" steel and this will be complete bolt on and have a slick hammered gray powder coat finish . 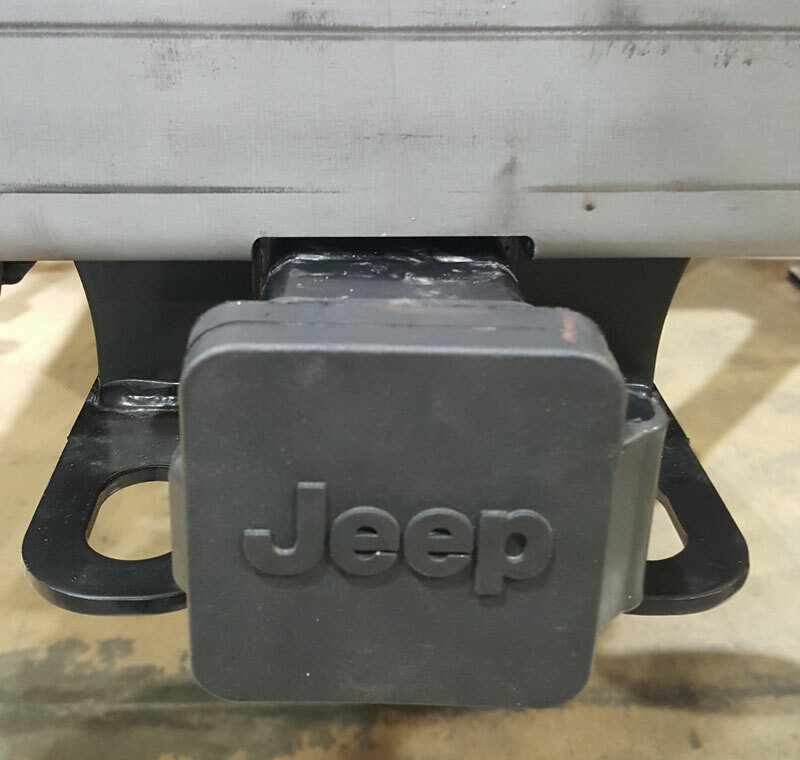 While we were under the JL we also added our LCA Skids to beef up the factory brackets . This is all we have for now but in the near future we will add more keep checking this for up to date progress . 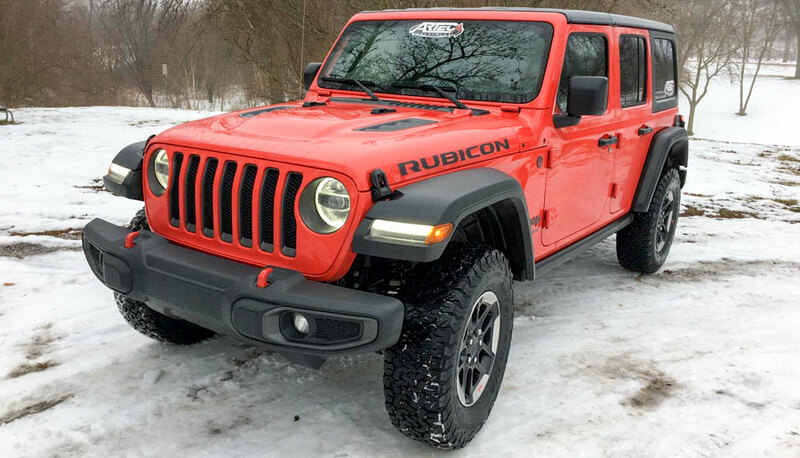 Today the JL was treated to some new parts! 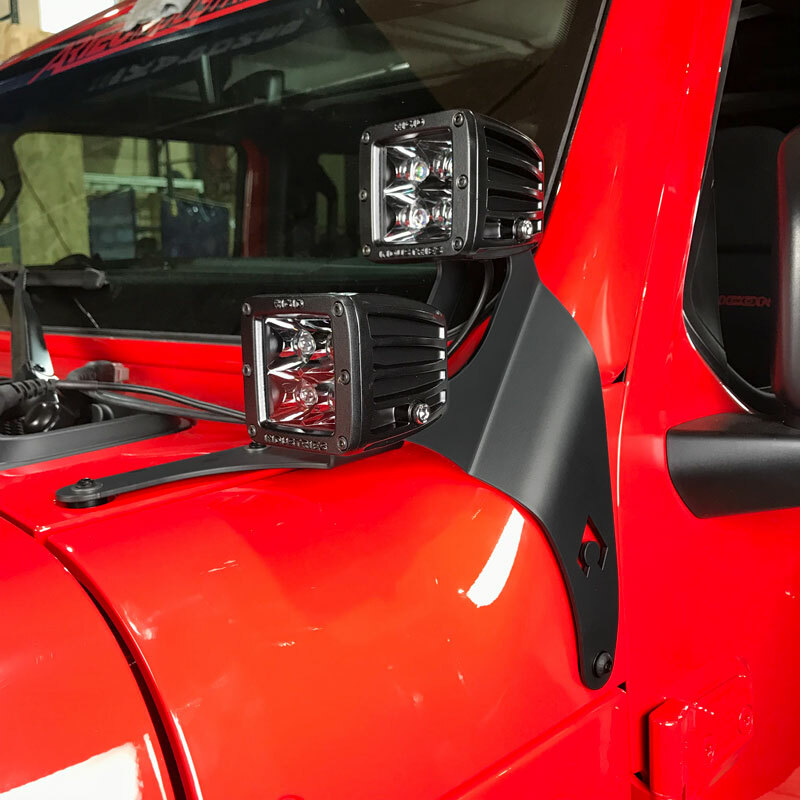 These are Our Artec Industries A- Pillar Dual light cube mount's , and 50" light bar hood mount . 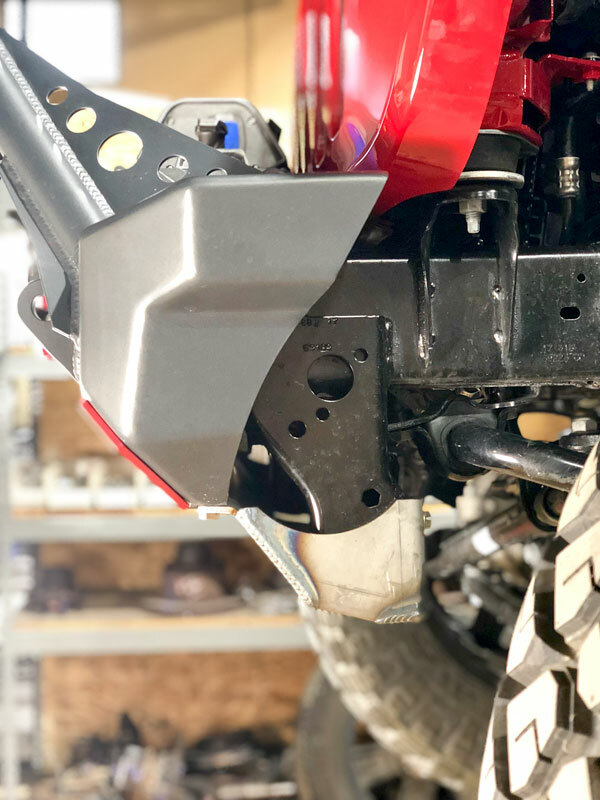 This Add-on skid protects the electronic sway bar disconnect under the front bumper as well as the factory frame extensions. 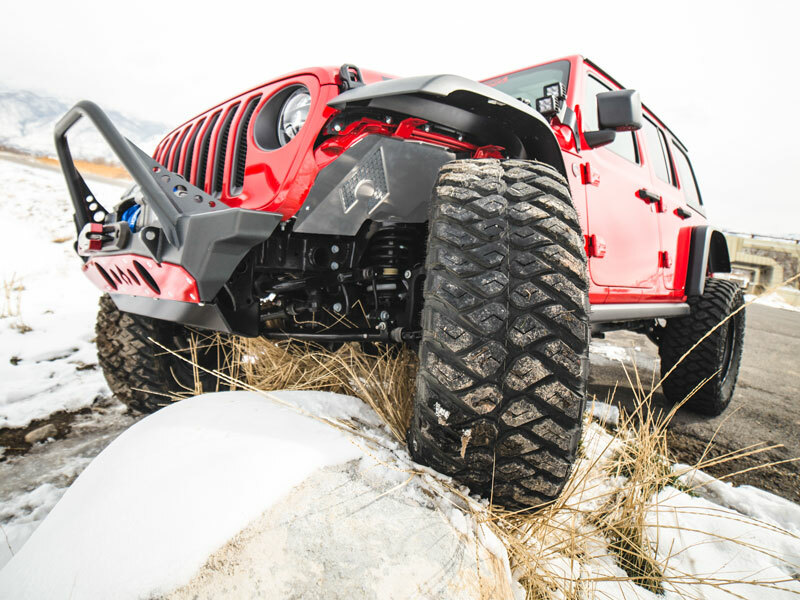 Run Larger Tires We tested with a 37x13.50x20 on a Stock JLUR ! 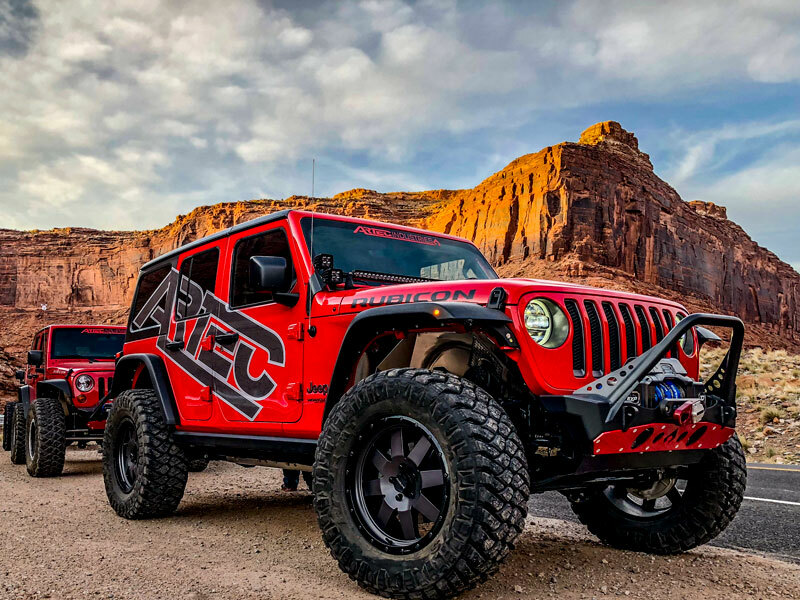 Artec Industries is excited to announce our new JL Front Inner Fenders. 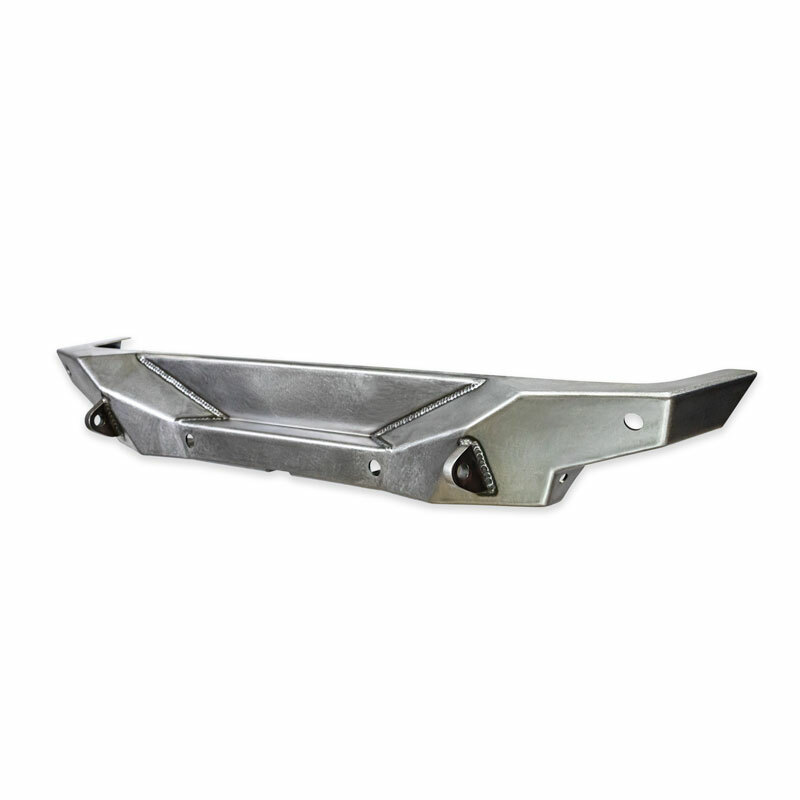 These aluminum fenders not only protect your engine compartment from dirt and debris but do it in style. 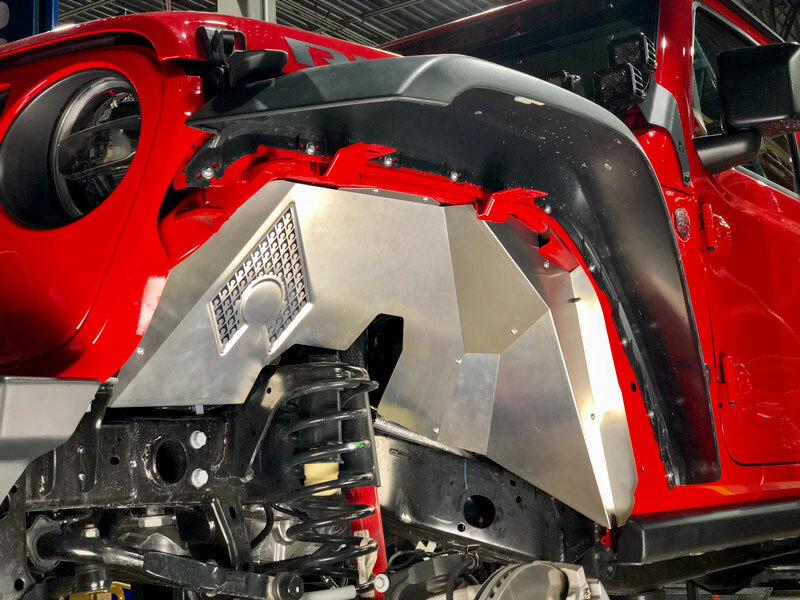 Our proprietary process of stamping our logo not only adds an additional element of style not seen in the industry but also increases the rigidity of the whole inner fender. 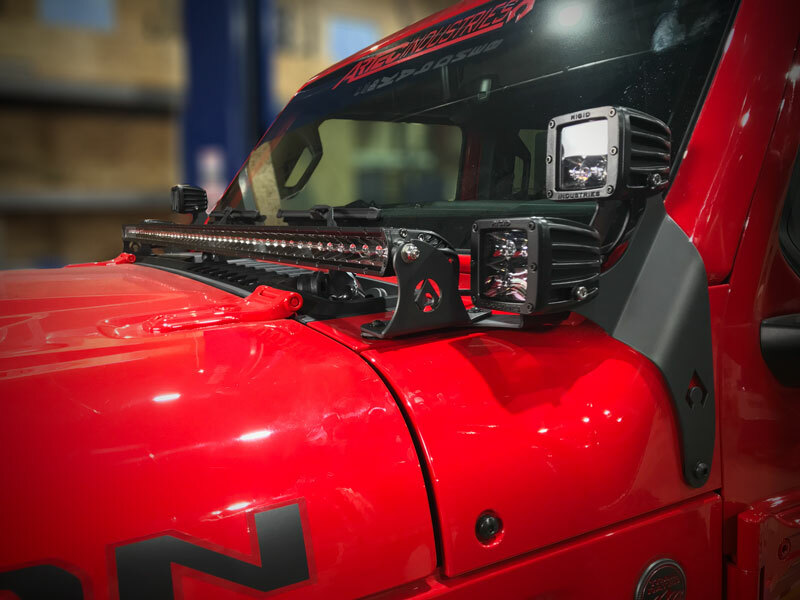 In addition, the laser cut vents keep your engine compartment cool and don't require you to bolt on an extra piece of mesh material. All this at a PHENOMENAL PRICE and manufactured in-house which means its MADE IN THE USA! 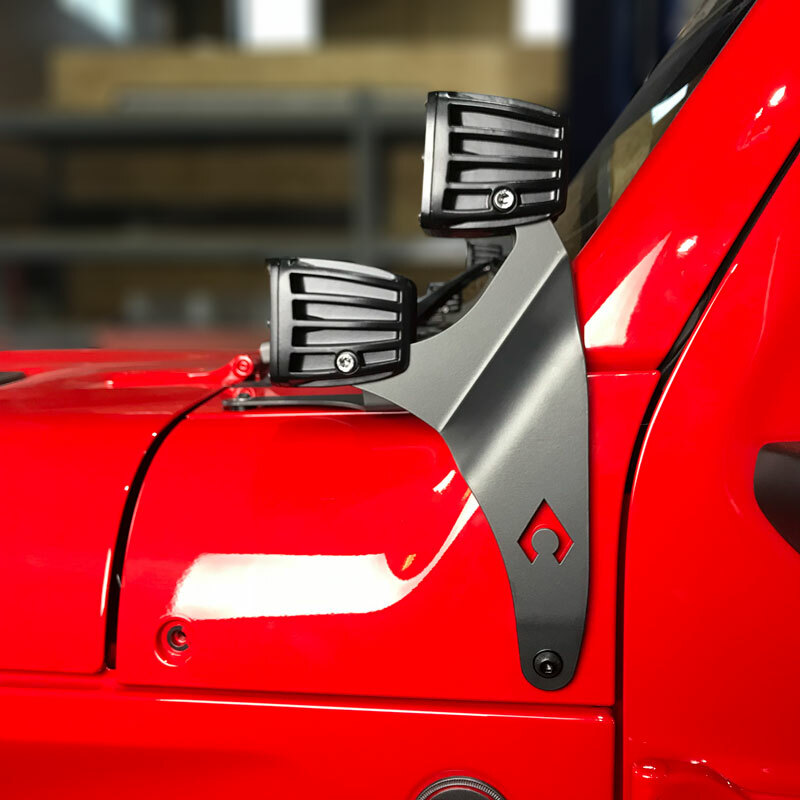 NOTE: While all precautions are made to ensure the aluminum surface is protected, small scratches from either the raw material from the factory, the manufacturing process, or the shipping process may be present in this UNFINISHED product. 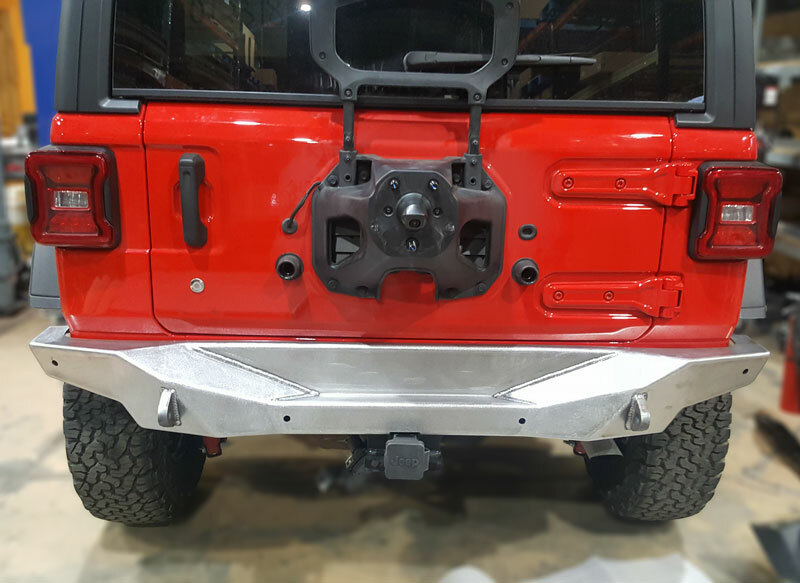 We recommend you finish this product with either painting, powdercoating or another similar process and prepare the surface prior to finishing as you would normally to remove any minor blemishes. Looks good, you leaving the aluminum raw? Everything looks great as expected. 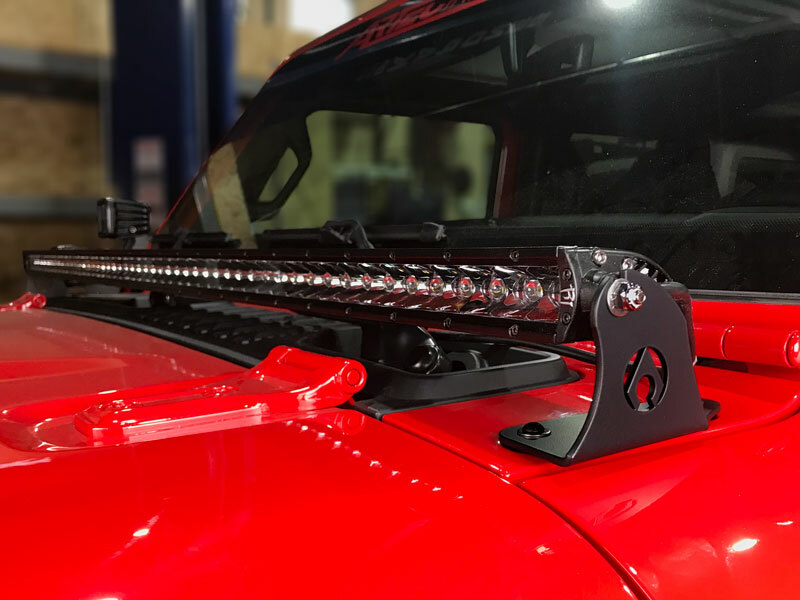 Whats the time frame on truss kits for axle swaps? Looking good! 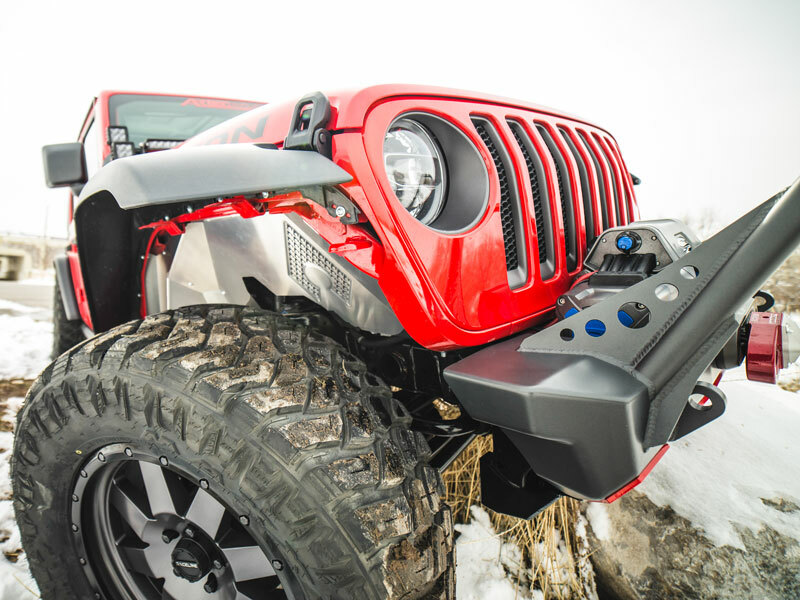 I really like the accent color on the front bumper. Nice looking build! 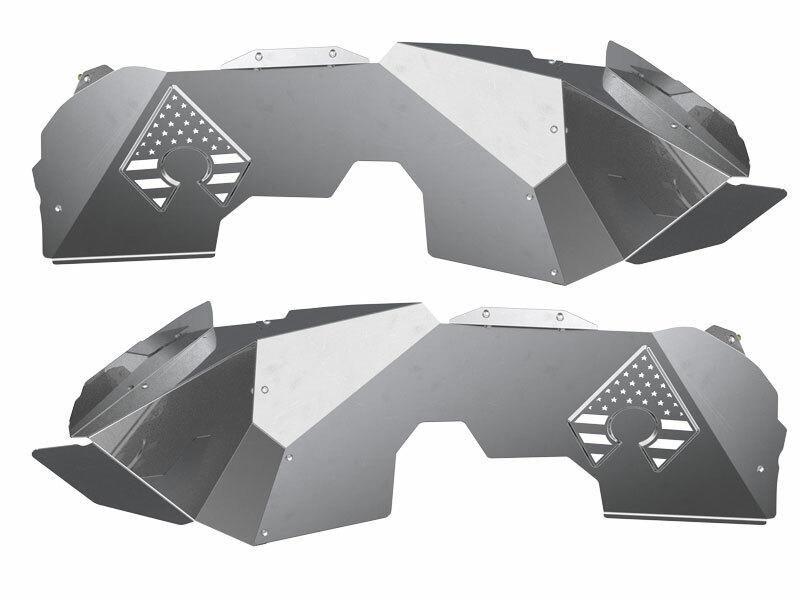 You guys have any plans of testing stuff with big tires, 6pak shock type uptravel? Any updates on the build guys?? ?